Want to know, which marketing channel will deliver better results for your business - social media or search engine optimization (SEO)? 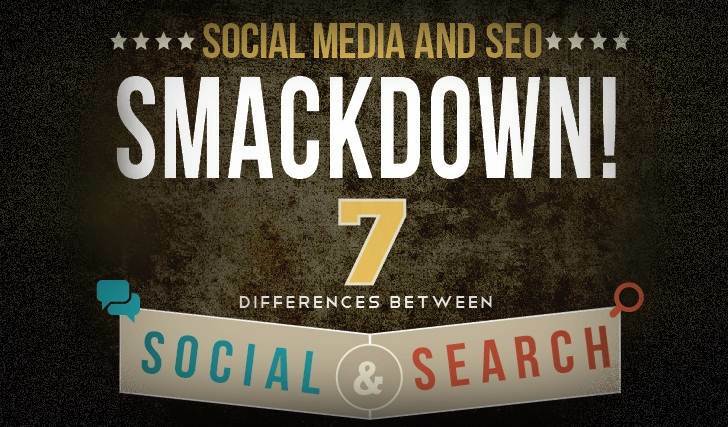 "Social media and SEO aren't just different, in many ways they're opposites. Social appeals to people. Search engine optimization appeals to a robot. The speed, the reach, the measurement and the content that performs well are all very different. Knowing the difference will help you decide what content to promote in which channel, how to spend your time, and where to set expectations." So to help you out the folks at Orbitmedia have designed this infographic illustrating the pros and cons of using social media and search marketing for companies. Visibility in search engines can drive followers, comments and shares. Social profiles can rank too. While links and rankings are the outcome of relationships. Social skills such as list building, outreach, and pitching are critical to SEO.